Hi! This is Official Guest Blogger Curtis ElVidge. 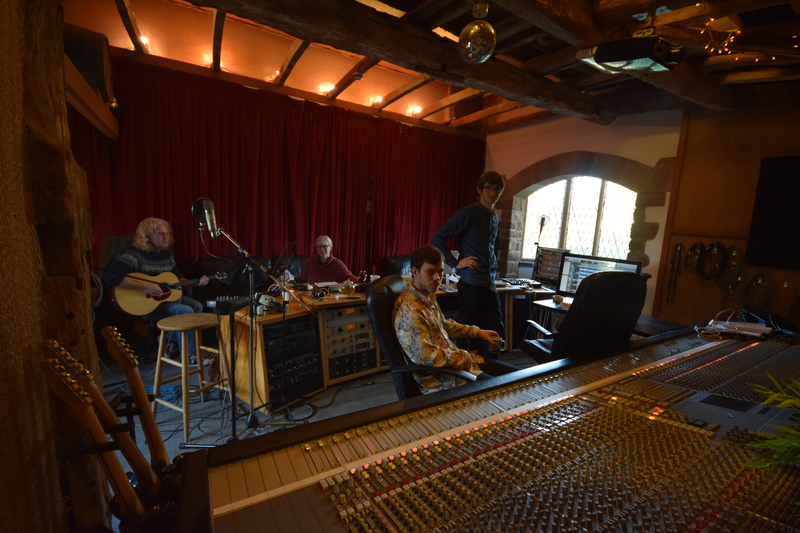 I’m the assistant engineer at Monnow Valley Studio, the place where 3 Bucket Jones began, and the place they’re at right now, writing and recording. I’m here to give you the lowdown on what Gitika, Andy and Garry are up to. 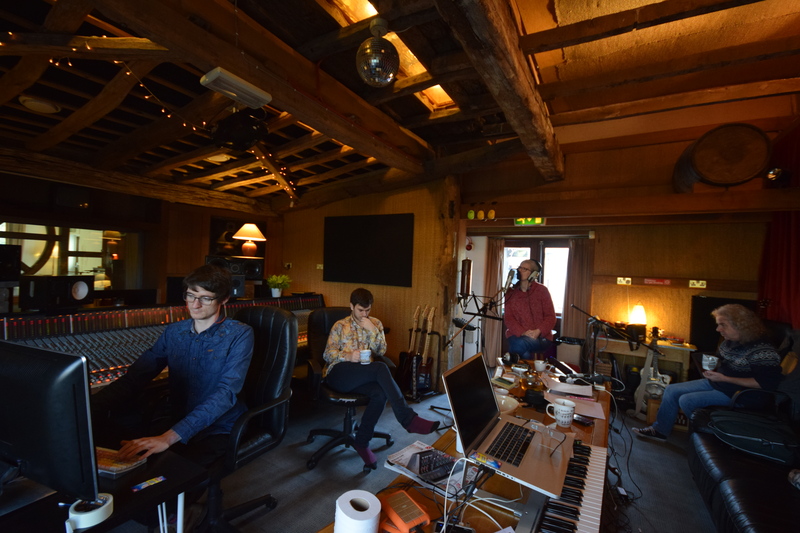 The band have been in the studio since sunday, composing and recording together all day every day. 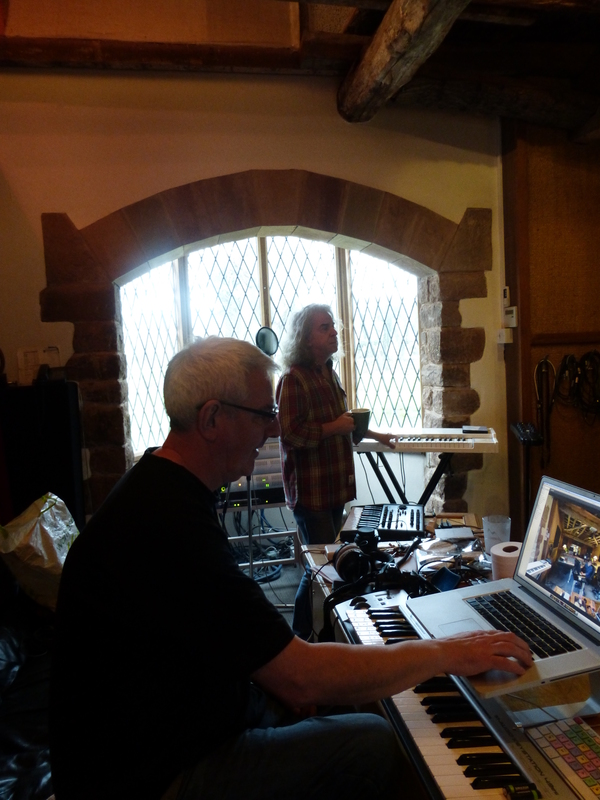 In the first four days they have written five songs almost entirely from scratch, ranging from unfinished ambient sketches to victorian horror movie themes – all via psychedelic folk of course. I’ve been impressed by the variety of instruments they’ve taken with them as well – a lot of which fall in the “cruel and unusual” category. We’ve got electronic tampuras, fretted violins and a hurdy-gurdy. Even better is they actually know how to play them. Garry also has an impressive set of software synths and it’s great to see a band so rooted in folk so happy with the electronics. But that’s far from the only trick Garry has up his sleeves. The guy is also a pretty fearsome chef, with my highlight being the local sausage and parma ham toad-in-the-hole. A fresh twist on an old classic! because tomorrow is suit day down at the studio!